Terrence Bailey awakes one night to find his mother-in-law standing in a corner of his bedroom. The only problem is that his mother-in-law has been dead for seven years. Several weeks later Terrence dies of a heart attack . . . or does he? Josiah's nose starts twitching in a bad way when Terrence goes to the "Great Beyond" and she thinks his death has something to do with Jean Louis, an internationally-known portrait artist who has come to the Bluegrass to paint Lady Elsmere's portrait. She just doesn't like Jean Louis and does some digging on him. What she finds will involve Detective Goetz and almost get her daughter, Asa, shot. Again, Josiah blames the black earth of Kentucky for spitting back secrets that should have remained buried in the dark and bloody ground. Really enjoyed the series. 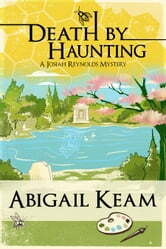 Liked the history, the characters, the suspense. I enjoyed the small town, "down home" feel to the storytelling. 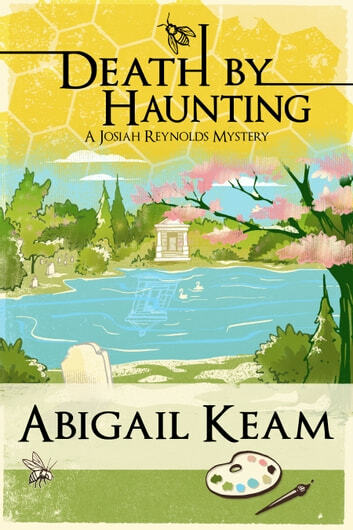 Abigail Keam delivers another well written mystery with the redoubtable Josiah Reynolds. I have enjoyed them so much, even to the point of not being able to put them down. The first one was free, then I had to read the rest, and they don't disappoint. Well written and insightful the characters live a realistic life.